In today's world, data is being generated at an exponential rate, so much so that analysts are predicting our global data creation to increase 10x by 2025. Businesses are now collecting dataÂ across everyÂ internal system and external source thatÂ impacts their company; and with it comes an ever-growing need to analyze the data to gain insight into how it can be used to improve and enhance their business decisions. 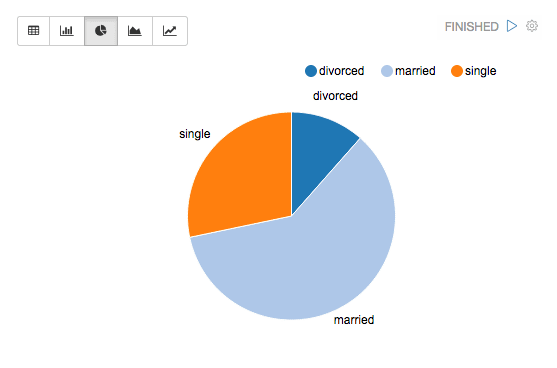 Apache Zeppelin, an open source data analytics and visualization platform, can take us a long way toward meeting that goal. 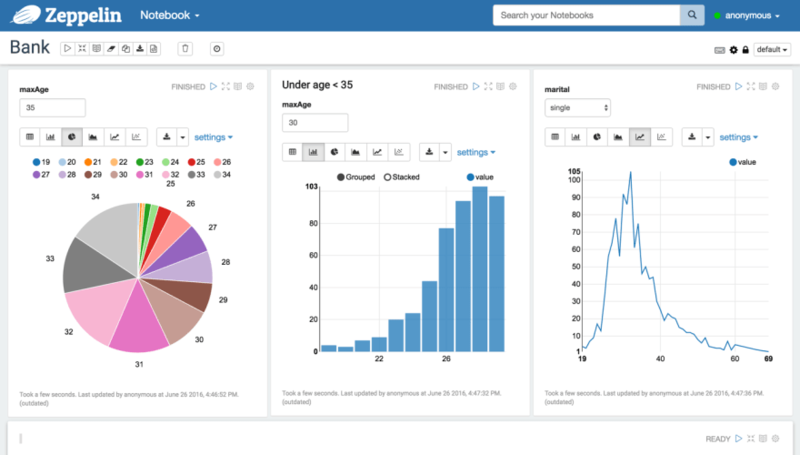 Apache Zeppelin is an open-source, web-based “notebook that enables interactive data analytics and collaborative documents.Â The notebook is integrated with distributed, general-purpose data processing systems such as Apache SparkÂ (large-scale data processing), Apache FlinkÂ (stream processing framework), and many others.Â Apache Zeppelin allows you to make beautiful, data-driven, interactive documents with SQL, Scala, R, or Python right inÂ your browser. 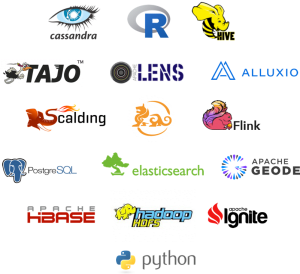 Integrate with many different open source, big data tools such as Apache projects Spark, Flink, Hive, Ignite, Lens and Tajo. Dynamically create input forms right in your notebook. A diverse and vibrant developer communityÂ gives you access to new data sources that are being constantly added and distributed through their open sourceÂ Apache 2.0 license. Apache Zeppelin interpreter concept allows any language/data-processing-backend to be plugged into Zeppelin. Currently, Apache Zeppelin supports many interpreters such as Apache Spark, Python, JDBC, Markdown, and Shell. Now, let's get started creating your custom interpreter for MongoDB and MySQL. And that’s it! To test our interpreter, we need to create a new note. 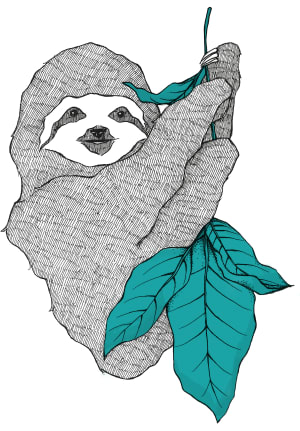 But first, lets set up our MongoDB interpreter as well. 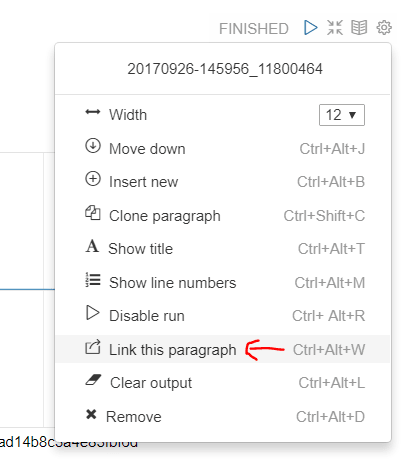 Go back to your Interpreter page and click the "Create" button. We're going to use this open sourceÂ MongoDB interpreter, soÂ you'll next need to download the .zip file and rename it to .jar. After that, go to interpreters/, create a mongodb/ folder, and paste the .jar into the folder. You'll now have a new Interpreter group called mongodb. 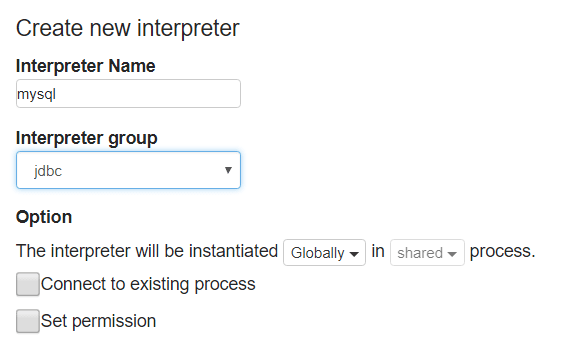 Go to your Interpreter page, enter a friendly name such as mongodb, and then choose mongodb under the Interpreter group dropdown. Now,Â let'sÂ enter the details of our newly created ScaleGrid MongoDB cluster in "Properties"Â found in the Overview/Machines section of the Cluster Details page. And we're done! Now it is time to test out our newly created interpreters. When creating a note, you'll be presented with a dialog to enter more information. 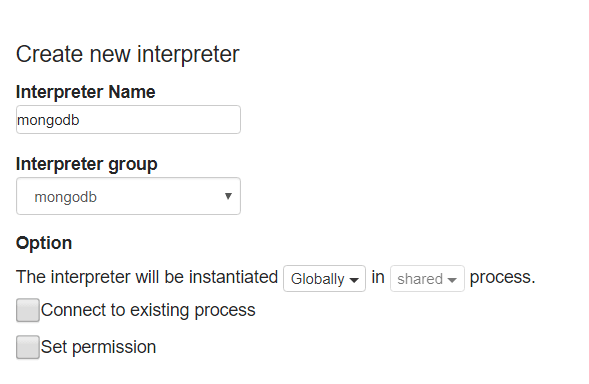 Choose the default interpreter as our newly created mysql and click “Create Note”. Before we can run any queries, we also need to mention the type of interpreter we'll be using for our note. We can do that by starting our note with “%mysql”. This will tell Zeppelin to expect MySQL queries in that note. And now, we're ready to query our database. 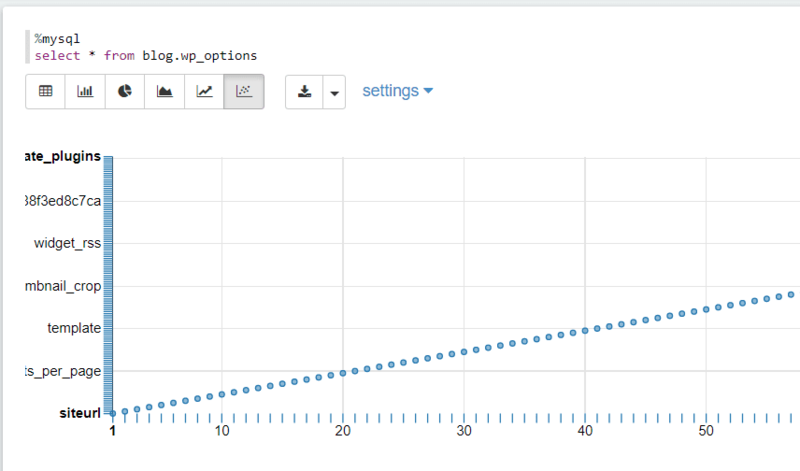 For the purpose of this example, I'll use my WordPress installation that contains a typical wp_options table to query and visualize its data. It works! 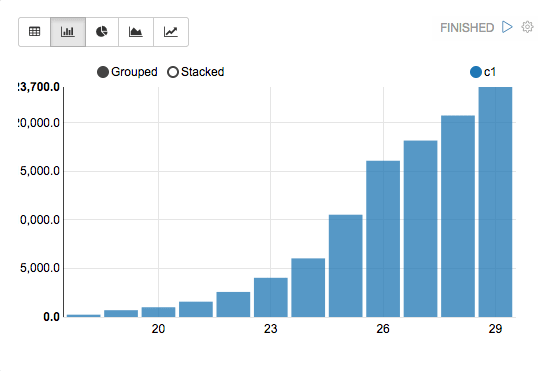 You can now click on the various charts to visualize the data in different graph formats. Similarly, for MongoDB, make sure you have data in the MongoDB cluster. 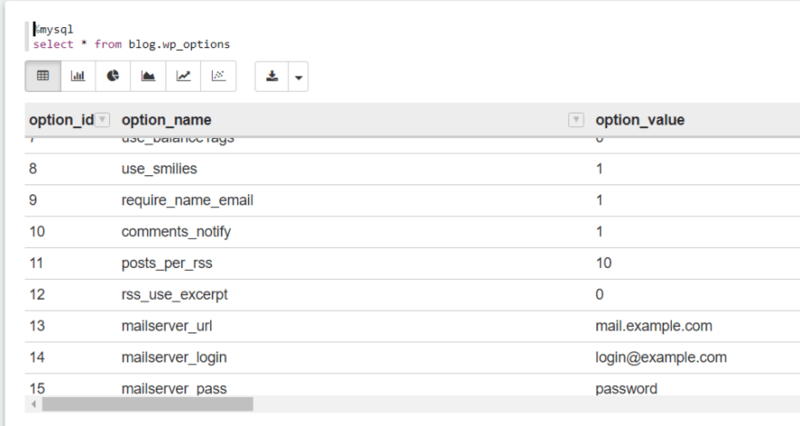 You can add some by going to the Admin Tab and running Mongo queries. Apache Zeppelin is an immensely helpful tool that allows teams to manage and analyze data withÂ many different visualization options, tables, and shareable links for collaboration. 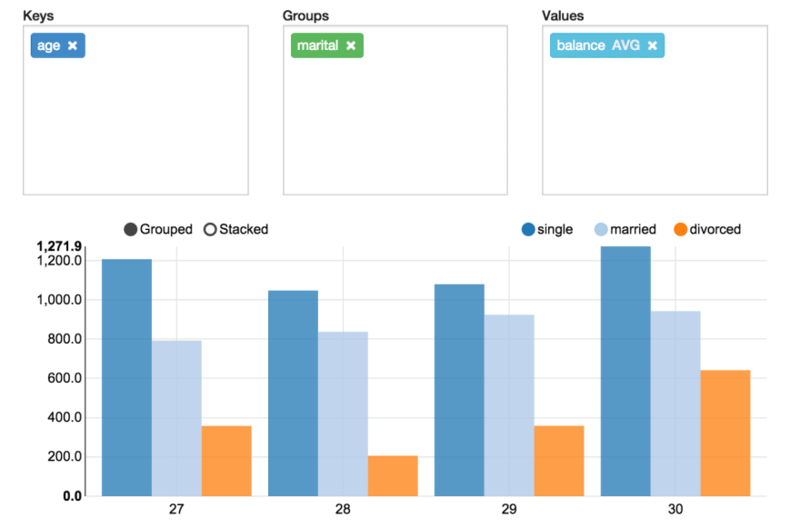 You can also explore other ways to visualize your data through MongoDB GUI's, including the top four: MongoDB Compass, Robomongo, Studio 3T and MongoBooster. If you need help with Redis hosting and management, reach out to us at support@scalegrid.io for further information. Fully managed Database-as-a-Service (DBaaS) solution for MongoDB and Redis on AWS, Azure and DigitalOcean. 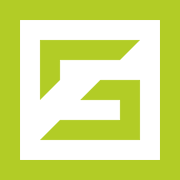 ScaleGrid automates your database management in the cloud so you can focus on product.